William Parr was brought up in the household of his step-father, Sir Nicholas Vaux, a member of the entourage of Lady Margaret Beaufort, Countess of Richmond and Derby. It is likely that he was schooled in Lady Margaret's household, under Maurice Westbury, but there is no indication that he was a natural scholar, appearing more as a man of action in later life. He quickly entered into royal service as a Squire of the Body to Henry VIII, and took part in the court revels, appearing, as one of the Merry Men when Henry disguised himself as Robin Hood as a “gladness to the Queen's Grace." More seriously, he was present in the army that invaded France in 1513, and was present at the siege of Tournai, being paid 40d per day for a year in the role of “Spear". Following the campaign, he was knighted on 25th September 1513 and also received a loan from the King of £50. In 1523 he took part in manoeuvres against the Scots, under the Earl of Surrey. Sir William was appointed to the post of Chamberlain to the young Duke of Richmond and his household, based at Sheriff Hutton in Yorkshire. This was an important position, as it appears that Henry was at least contemplating the possibility of naming Richmond as his heir. Unfortunately, Sir William had no head for business or for managing a large household and there are reports of infighting and faction within the Duke's household. In particular, Sir William seems to have had a strong anti-clerical streak and encouraged Richmond and the other young men to defy their tutors. When the household was dissolved in 1528 it was deemed to have overspent to a serious degree. However, Sir William redeemed himself during the Pilgrimage of Grace , when he formed part of Charles, Duke of Suffolk's army against the rebels and overseeing executions at Louth and Hornby. He also took part in the dissolving of various of the monasteries, sending the valuables to Cromwell and threatening to “hang any who concealed anything (belonging to the monasteries of Barlinges and Kirkstead)". This record of faithful service continues throughout the 1530, and in return he received lands and offices. When his niece, Katherine, married the King in 1543, he was appointed her Lord Chamberlain, and was also named as part of the Regency Council over which Queen Katherine presided when Henry VIII was in France in 1544. He married a Northamptonshire heiress, Mary Salisbury, by whom he had four daughters, all of whom married into gentry families in the Midlands. As his barony was created in tail male, the title died with him, and his daughters inherited only his lands. 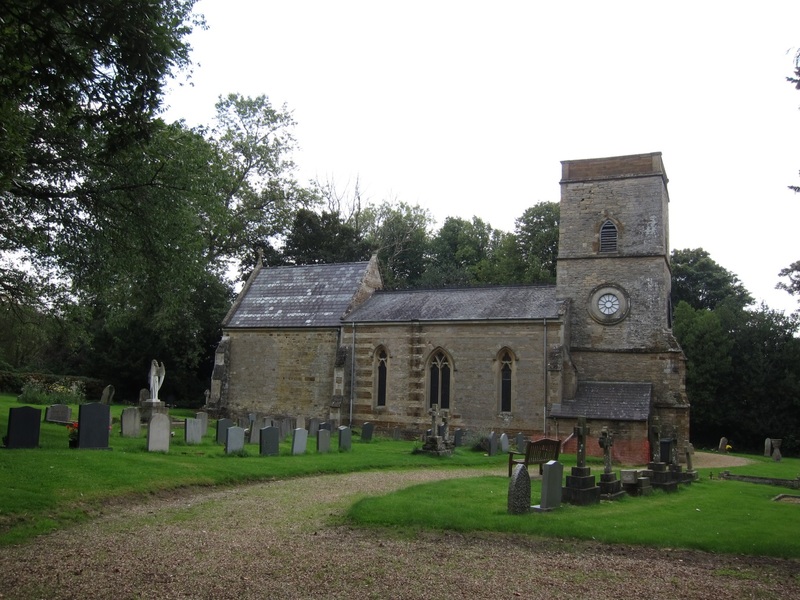 He was buried with his wife in the church of St Mary Magdalene at Horton, in Northamptonshire.